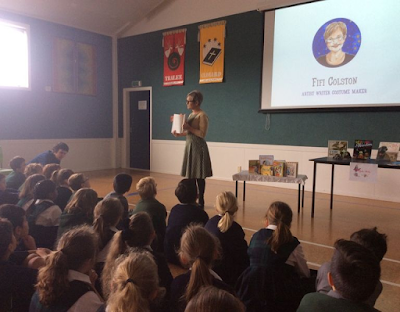 Today author & illustrator Fifi Colston visited St Brendan's. She talked about some of the books she has worked on, a different book with each Syndicate. She also held a writing workshop with a small group of children who are very interested in writing. 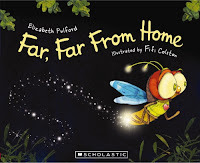 First Fifi read the picture book Far, Far from Home written by Elizabeth Pulford to the Junior syndicate and spoke about how she illustrated the book. Before morning tea she spoke to the Upper Middle and Senior syndicate about her research and the process she followed while working on illustrations for the book Torty and the Soldier written by Jennifer Beck. Fifi explained how she had visited Torty, who is still alive and spends time with different families in the Little family now that the soldier, Stewart Little, is no longer alive. Fifi also explained how she took extra care to make sure the scenes and soldiers uniforms in the book were true to how they would have been during World War I. After morning tea Fifi spoke to the Middle syndicate about her book Wearable Wonders. 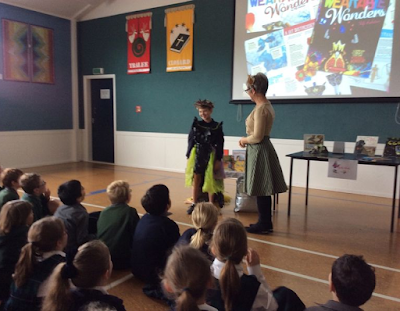 A few lucky students got to dress up and everyone learn't about how to use free stuff and recycled items to create Wearable Wonders! Before lunch a group of 16 students from the Upper Middles and Seniors spent about an hour with Fifi for a writing workshop. Together they created a story starter, deciding on the traits of the main character, April Muffin, and her background story. It was interesting to see the very different directions the story took even though the students all started with the same initial idea. Fifi's visit was organised through the New Zealand Book Council "Writer's in Schools" programme with the support of Creative New Zealand.